On July 20, in the lobby of the the Royal Brougham Pavilion, on the campus of Seattle Pacific University, a T-shirt vendor began to set up shop. 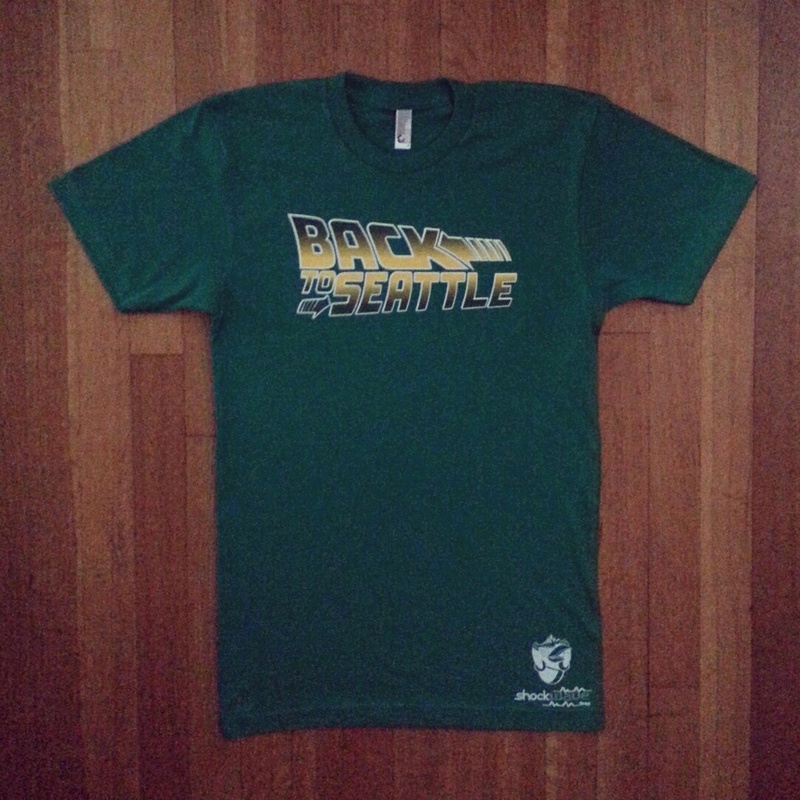 One design read “Back to Seattle” in the form of the Back to the Future logo. Another had “Let’s party like it’s 1979” printed on it. Inside the 2,650-seat arena, Pam Friends, a 41-year-old lifetime Seattle SuperSonics fan, nestled into a seat in the first row behind the scorer’s table alongside her son. “I bring my kids. Every game we can come to, we’re here,” Friends said. “It’s just a great environment.” Little did the boy know, he was 40 minutes and six feet away from witnessing the best basketball played in Seattle since 2008. The Seattle Pro-Am originated as the All Hoop, No Hype league in 1996. It was started by then NBA veteran Doug Christie. Soon after its formation, a local high school standout found himself playing on Christie’s team. That standout would go on to win two NBA Sixth Man of the Year Awards. Just eight years later, Crawford has developed the league into a must-visit basketball spectacle in the Pacific Northwest, reigniting the passions of a city. Under Crawford’s watch, the Pro-Am, which runs from early June to late August, has served as a platform for local talent and a magnet for some big names. But he didn’t do it alone. The move to Seattle Pacific University gave the league a platform, and Crawford’s colleagues in the NBA began taking notice. The area’s homegrown NBA talents — Isaiah Thomas, Spencer Hawes, Tony Wroten Jr., and Nate Robinson, to name a few — were already regulars in the league. However, in recent year the likes of Kevin Durant, Kyrie Irving, Blake Griffin, Jeff Green, Tyreke Evans, and LaMarcus Aldridge have put on exhibitions at the Pro-Am. “I think the level of competition has definitely increased,” said Crawford. Other NBA players have made appearances this summer, but the biggest splash came July 20, on a damp Sunday afternoon when Crawford brought in Kobe Bryant and Seattle SuperSonics legend Gary Payton to attend some of the day’s games. To no surprise, Crawford’s tweet announcing his special guests a few hours before the games turned an already-packed Royal Brougham Pavilion into an impenetrable heap of basketball junkies, and Bryant’s arrival turned an enthused crowd into a hysterical mob. For all the star power, the league is ultimately about the community. Kids 17 and under get in for free, and all the league’s proceeds go to the Jamal Crawford Foundation. The real aim, however, isn’t just to entertain. Crawford and Powell are trying to keep basketball alive in Seattle. Decades ago, when the city was still the home of the SuperSonics, Seattle was one of the most vibrant basketball communities in the country. That identity was taken from the city in 2008, when the Sonics were moved to Oklahoma City. The city’s hoops fanatics have since desperately searched for a means of getting their team back, or at the very least a way to help fill the void. This is where the Seattle Pro-Am finds its greatest purpose. David Vertsberger (@_Verts) writes about the NBA for Hardwood Paroxysm and ESPN’s TrueHoop Network.